LA TRINIDAD, Benguet– The Regional State Prosecutor ordered the filing of the charges of malicious mischief and resistance and disobedience to a person in authority against a chicken dung dealer in Shilan who allegedly refused to close her chicken dung business amidst the presence of a closure order issued by the local government. In an 8-page resolution dated February 20, 2019, Regional State Prosecutor Nonnatus Caesar R. Rojas partly granted the petition for review filed by Mayor Romeo K. Salda and other accused on the matter and directed the provincial prosecutor of Benguet to file the aforesaid charges against Rose Maliones after finding probable cause to warrant the filing of the charges and gave the said office ten days from receipt to comply with the said directive. “We cannot sustain the argument that there was irregularity in the issuance of the closure order. The Local Government Code of 1991 gives Mayor Salda the power to issue the closure order. The law allows mayors to enforce all laws and ordinances relative to the governance of the municipality and the exercise of its corporate powers and implement all approved policies, programs, projects, services and activities of the municipality,” Rojas stressed. He added that the closure order against the chicken dung business of Maliones was issued pursuant to Administrative Order No. 008, series of 2010 and since there was no showing that the said order was amended or repealed, the issuance of the closure order is presumed to be valid and regular. Rojas pointed out that there is no question that in order to be held liable for malicious mischief, the act of damaging another’s property is just for the sake of damaging it, thus, Maliones may have destroyed the fence for a purpose not just for a whimsical reason. However, the third element of the offense also presupposes that the offender acted due to hate, revenge or other evil motive, thus, it is rather clear that Maliones destroyed the fence out of her anger and disgust over the implementing team’s act of barricading her property. Her intention of knocking the fence despite the plea of police officers depicts not on her anger but also her arrogance towards the authorities which led to her committing the offense. However, Rojas claimed that Maliones cannot be held liable for indirect assault since the offense can only be committed when direct assault is committed. Earlier, Salda and his companions sought a reversal of the January 10, 2019 joint resolution of the Benguet Provincial Prosecutor which dismissed the complaint for disobedience and malicious mischief and indirect assault against Maliones. 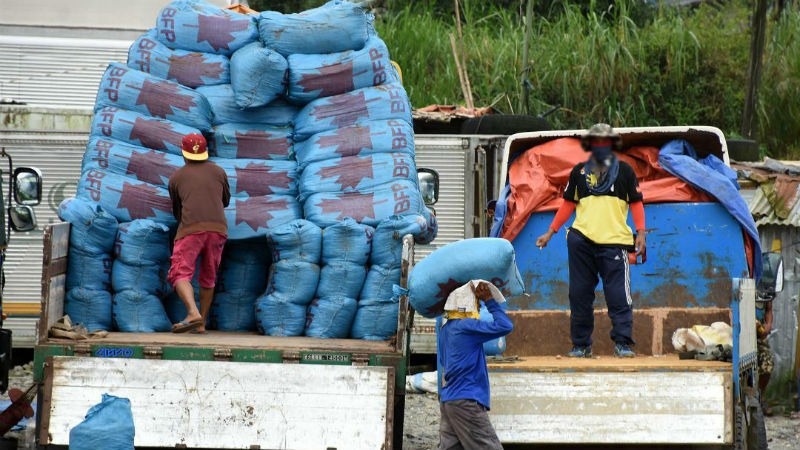 In May 2018, the mayor’s office received information regarding the operations of a chicken dung business in Barangay Tili, Shilan and after the licensing office confirmed the veracity of the report, Salda issued a closure order against Nora Lagadeo, the purported operator of the business pursuant to AO 008, series of 2010 issued by the previous municipal mayor prohibiting the sale, storage and disposal of chicken dung in the locality. Subsequently, a composite team from the licensing office, members of the local police and some barangay officials of Shilan went to Sitio Tili to implement the order and when the group arrived at the site of the business, the team allegedly handed the order to Lagadeo but she refused to receive it and claimed that she was only a caretaker of the business. She allegedly pointed to Maliones, her sister, as the supposed proprietor. On June 6, 2018, the office of the mayor was informed that the temporary barrier which the team placed at the entrance of the business was already removed and when confronted, Lagadeo and Maliones allegedly admitted authorship of the removal and said that the barrier obstructed the passage of their vehicles in going to and from their property, which, incidentally, also served as their vehicle’s parking area. Maliones also allegedly succeeded in preventing the enforcers from re-installing the barricades and because of her open defiance of the closure order, Salda again issued another order addressed to Maliones directing her to close her chicken dung business. Ironically, the order was not implemented because Maliones filed a petition for injunction and annulment of the original closure order which was consequently denied on August 14, 2018. After the dismissal of the petition, the same group implemented the closure order addressed to Maliones allegedly for several times but the workers of Maliones would remove the barriers after its implementation, thus, a complaint for disobedience was filed against her but it was dismissed by the prosecutor’s office because the closure order was not directed at Maliones. The resolution noted that the chicken dung of Maliones continued its operation that prompted a group from the local government, PNP officers and Shilan barangay officials to install a wooden fence at the entrance of the property but Maliones and Lagadeo arrived on board their private vehicle and allegedly removed the said fence. Salda appealed to the regional state prosecutor the twin decisions of the provincial prosecutors’ office which was actually partially granted but the case of indirect assault was sustained to be dismissed.